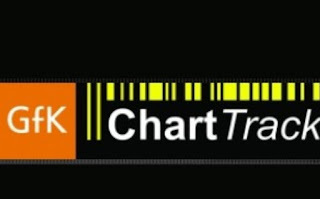 The UK Chart Track was release at the early hours of today. This might come to some as a shocker but believe it or not “Zelda-didn’t-make- it’’ to the top!! When it comes to the UK chart covering last week, there was only going to be one winner to take the top spot and Mass Effect: Andromeda clinched that title. Though Nintendo continues to toil its way to the top, but judging from the recent chart results it has proved their efforts are not just enough to bring it in the bright spot. The Legend of Zelda: Breath of the Wild, for instance, is still showing decent momentum in holding onto sixth place for the second consecutive week. Interestingly, in the single-format results the Switch version did much of the work and climbed one place to 8th position, while the Wii U entry fell eleven places down to 23rd in that chart. Either some are finding Switch stock and picking up BoTW, or have systems and initially held off on the extraordinary adventure game. From this chart it only meant thing; that the goal of Nintendo’s Zelda being the best selling game of all time is still a mine away. You can as well view chart from here .